Coinciding with the Mutator 1 + 2 exhibition at Phoenix Brighton, Latham contextualised his evolutionary drawings within the history of art and explained the basic rules of FormSynth, a computer-based system for the modification of forms. 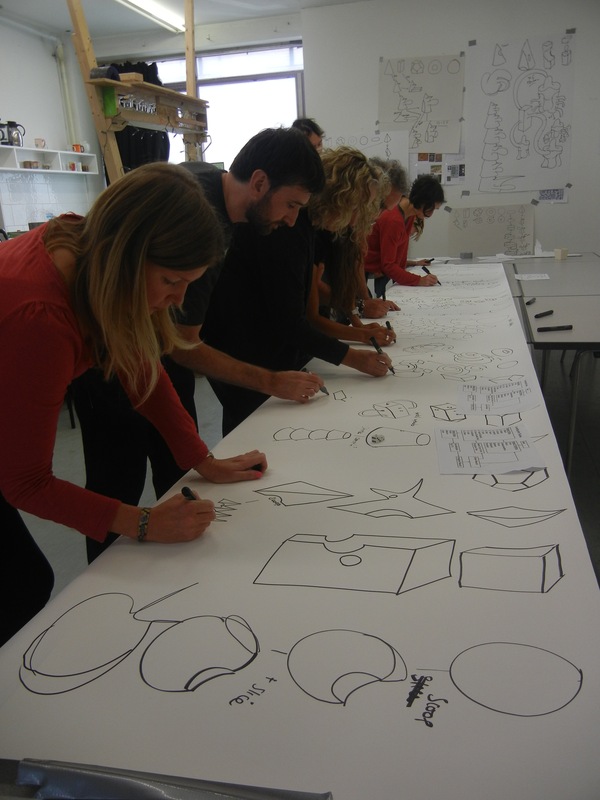 The group then used these rules to create large-scale collaborative drawings, incorporating the element of chance by introducing a throw of the dice. Attendees learnt how to design new rules to add to the FormSynth rule set. 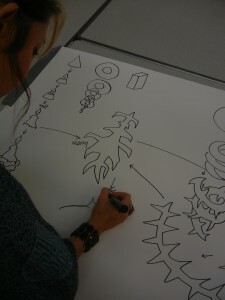 Workshop attendee drawing according to the FormSynth rule set. 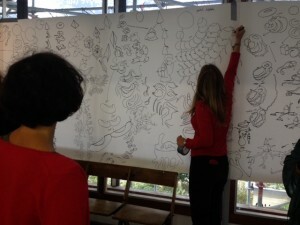 Workshop attendee drawing according to the FormSynth rule set to produce collaborative FormSynth drawing.